After a short delay, the next episode of The Chaos Project is finally out! Read it right here! The Second Great Eggman War has been set in motion. Now fighting a war on two fronts, against Eggman with his Hard Boiled Heavies, and Blacklight with his Phantom Ruby Replicas, Shadow and the rest of the new Resistance will take help anywhere they can get it. Even from the darkest of villains. 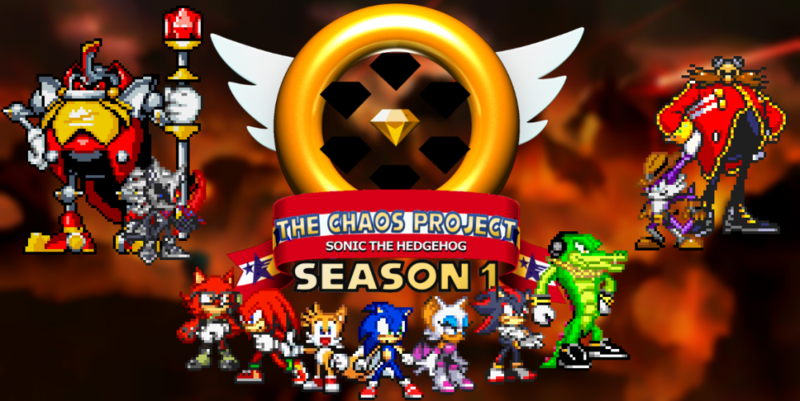 This entry was posted in Episode Update and tagged Blacklight the Hedgehog, Forces of Chaos Arc, Hard Boiled Heavies, Infinite the Jackal, Ivo "Eggman" Robotnik, Miles "Tails" Prower, Shadow the Hedgehog, The Eggman Empire, The Great Eggman Wars, The Phantom Ruby, The Resistance by Chaos Project. Bookmark the permalink.